Mount board, tinted coloured papers, pencil, glue, scale, scissors, marker, double sided foam tape, textured paper, straws. 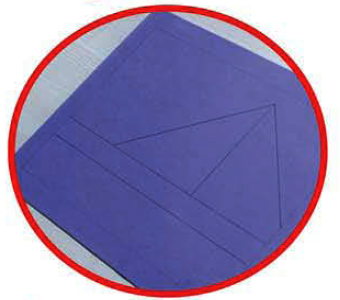 Tip: Stick the background coloured paper on the mount board to give it support. 1. Draw the scene that you want on the coloured background paper using pencil. 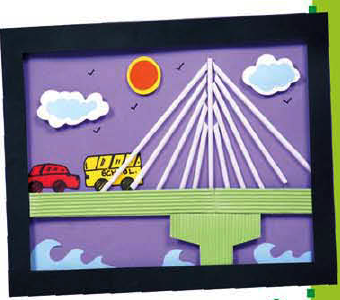 Here we have drawn a bridge. 3. 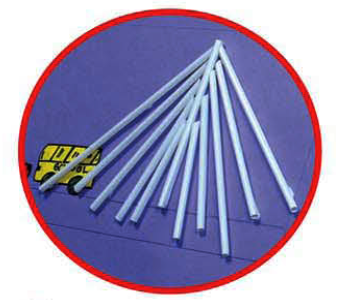 Cut straws in varying lengths according to where they have to be pasted and paste them there. 4. 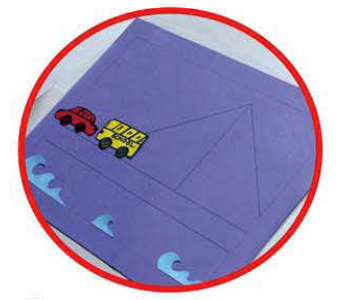 Paste other parts of the scene by putting one, two or more layers of tape under it for the 3-D effect. 5. Make sure you use different layers of tape to give each component a unique look. 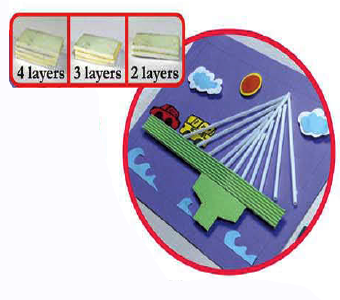 Use 4 layers of tape for the outer frame, and your 3D artwork is ready to hang on your wall! 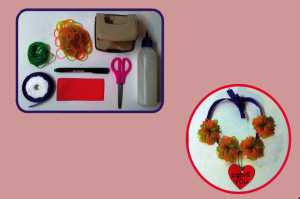 This Valentine's Day, make a necklace for your valentine!